More important, the “Cronkite Moment” wasn’t very decisive at all. As I discuss in Getting It Wrong, my new book about media-driven myths, Cronkite himself disputed the notion that his assessment about Vietnam had had much effect on Johnson or on U.S. war policy. 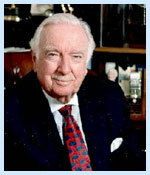 For example, in promoting his memoir in 1997, Cronkite likened his “mired in stalemate” commentary to a straw on the back of a crippled camel. At the time Cronkite intoned his “mired in stalemate” assessment, Johnson was in Austin, Texas, offering light-hearted remarks at the birthday party for Texas Governor John Connally, a longtime political ally. Even if Johnson later saw the Cronkite program on videotape, he “gave no indication of having taken the anchorman’s message to heart,” I write in Getting It Wrong.